No Worries. 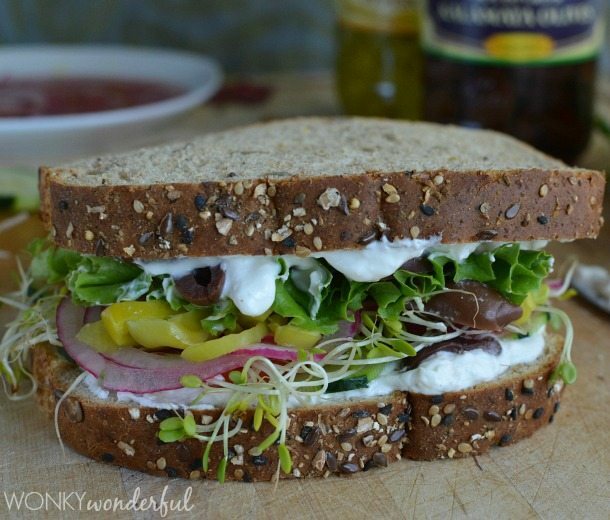 This Greek Vegetable Sandwich with Creamy Feta Spread is so satisfying and flavorful that you will not even miss the meat! With fresh onion, sprouts, lettuce, tomato and cucumber. Add tangy Mezzetta Pepperoncini and Kalamata Olives. Top it off with a creamy Greek yogurt and feta spread. For one Spectacular Sandwich! Sandwiches are kinda my thang. I love all types of sandwiches. And they must be piled high with a variety of flavors and textures. Do you love sandwiches too? 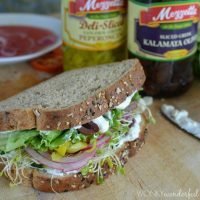 You should enter your sandwich masterpiece in the Mezzetta “Make That Sandwich” contest! The grand prize winner will receive $25,000! Two runner-up winners will receive $1,000! You get to eat a delicious sandwich and have a chance to win cash prizes!?!? Awesome! 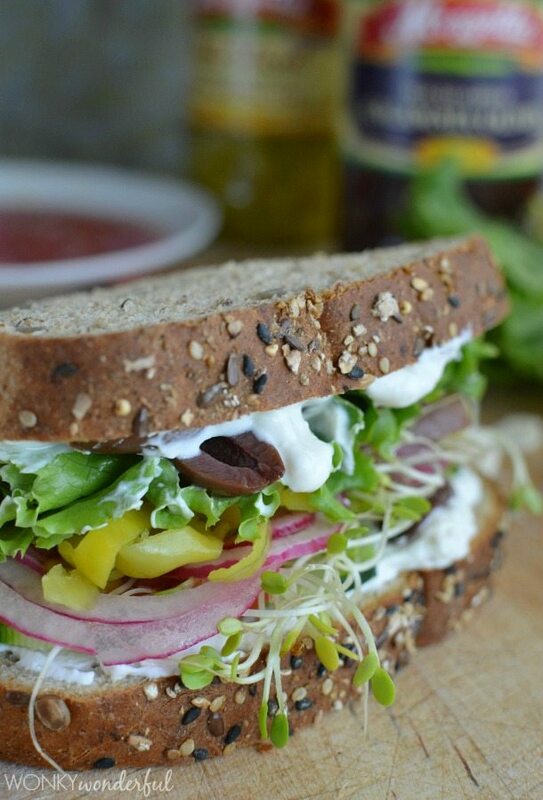 This Greek Vegetable Sandwich with Feta Spread is really quite easy to make. 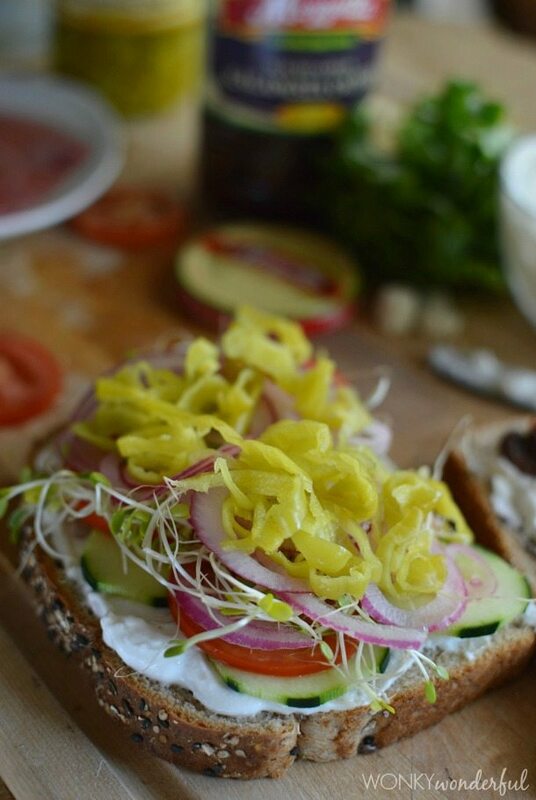 It is all about the super creamy spread, fresh vegetables and tangy pepperoncini. How do you make the perfect sandwich? It’s all about the ingredients. 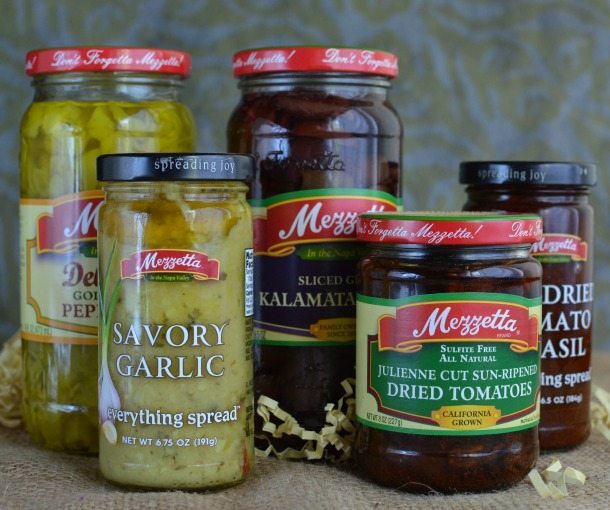 Buy quality products, like Mezzetta. Use fresh vegetables with different textures and flavors. And you can’t just slap stuff between two slices of bread and call it lunch! Take time and care to build each sandwich layer. 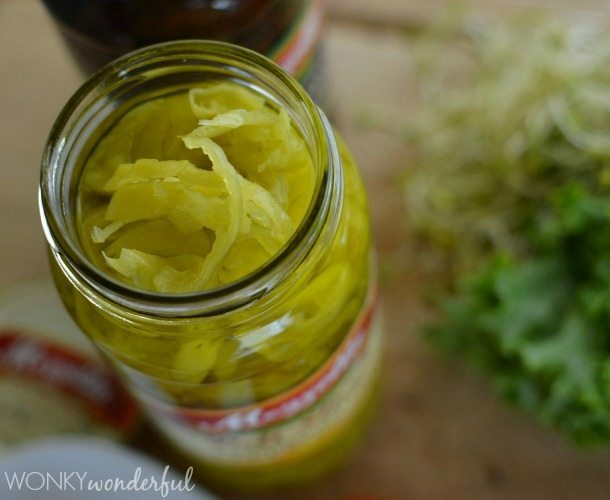 The secret ingredient in my sandwiches . . . LOVE. I told ya sandwiches are my thang! I take sandwiches very seriously. 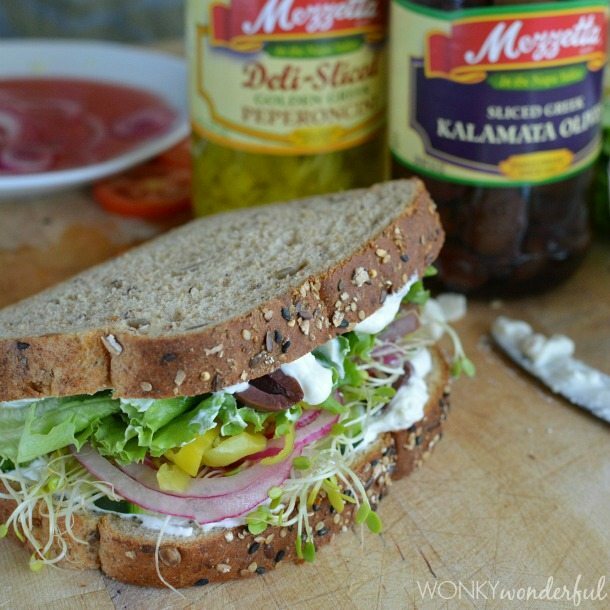 You can find a wide variety of Mezzetta products to help make your sandwich creation stand out. Available everywhere you buy groceries nationwide. Mix feta, Greek yogurt and pepper. Set aside. Place sliced onions in bowl. Cover with red wine vinegar. Allow onions to soak while prepping sandwich. 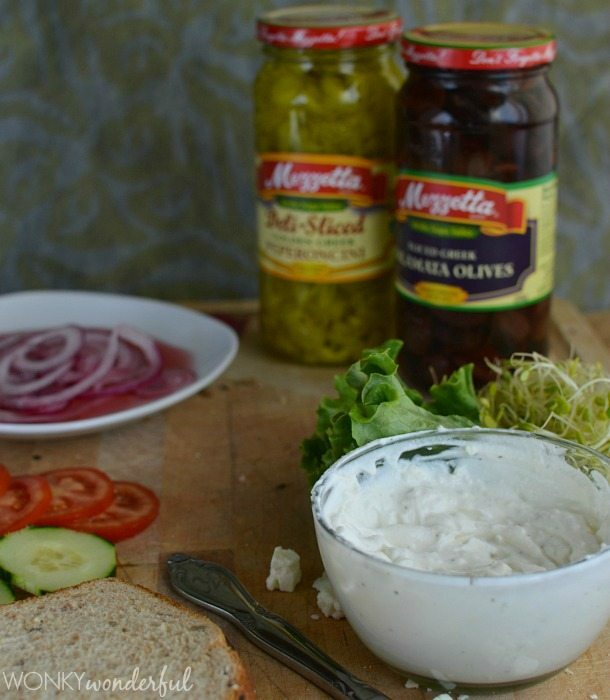 Spread a generous amount of creamy feta spread on both slices of bread. Layer pepperoncini, olives, cucumbers, tomatoes, sprouts and lettuce. Remove onions from vinegar and let excess vinegar drip off. Add to sandwich. Use as much or as little of each ingredient, to taste. This is a sponsored conversation written by me on behalf of Mezzetta. The opinions and text are all mine.